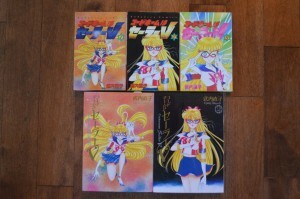 Following the last release of the Sailor Moon Complete Edition manga we now have all of Codename Sailor V released in Japan in this same format. The Complete Edition of the Sailor Moon, and now Sailor V, manga are high quality collector’s editions of the manga with larger, brighter pages and which include all colour pages previously only seen in pages of Nakayoshi and Run Run. 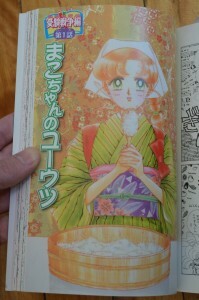 While Sailor Moon appeared in Nakayoshi the Codename Sailor V manga was often serialized in another magazine, Run Run. The Codename Sailor V manga was also written by Naoko Takeuchi and it predates Sailor Moon, though it continued to be written alongside it and it’s final story was actually written after Sailor Moon’s run had been completed. It tells the story of Minako when she was Sailor V in the days before she joined Sailor Moon as Sailor Venus. 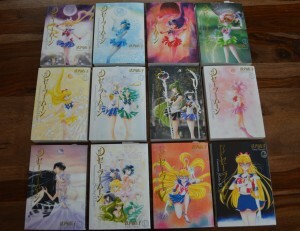 Chronologically the entire story takes place prior to the first issue of the Sailor Moon manga. This complete edition was released on Thursday May 29th. 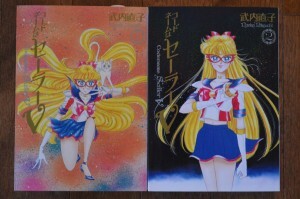 Unlike the Sailor Moon releases of this manga there is no new art for the covers but instead the art of the original books for Codename Sailor V volumes 1 and 2 are used for these. As you can see by the comparison to the original manga releases these ones are a bit larger and feature a much larger image of the volume 2 cover art. 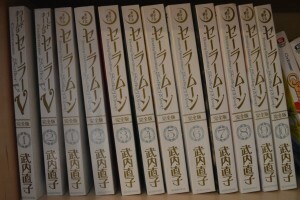 These books are Japanese only. You can order them from Amazon Japan (vol. 1, vol. 2) or CD Japan (vol. 1, vol. 2). Keep reading to see more of the colour pages included in this release. 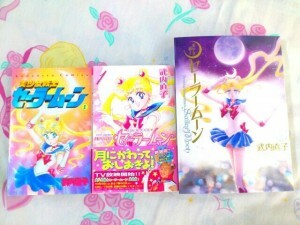 Last week, March 25th, volumes 9 and 10 of the Sailor Moon Manga Complete Editions were released in Japan. 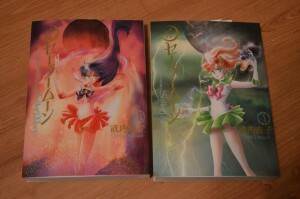 Volume 9 features Endymion and Serenity on the cover while volume 10 features all 10 Sailor Guardians. 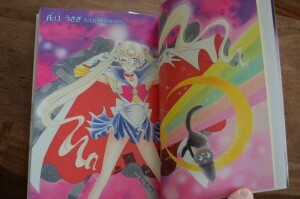 This concludes the story of the Sailor Moon manga with the Stars story arc featuring Galaxia and the Starlights. 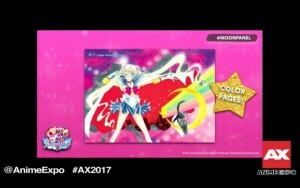 Volumes 11 and 12 of the manga will be released later this month and will likely contain Code Name Sailor V and the Parallel Sailor Moon story, as that’s all that has not been published to date. 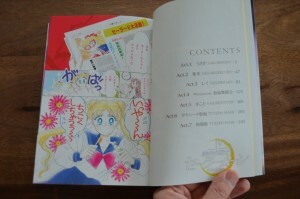 Parallel Sailor Moon was originally published only in the Materials Collection Artbook but also added with the 2004 edition of the manga which is what we recently saw translated into English by Kodansha Comics USA. 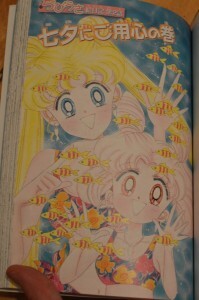 As with other volumes this complete edition features all colour pages previously only seen in the pages of Nakayoshi where they were originally published. With most of these two books dedicated to wrapping up the main story we only have one side story included, that being the final Chibiusa’s Picture Diary story, the Secret of the Hammer Price Shrine. This story has Chibiusa and Hotaru getting into high jynx with their trendy friends Naruru, Naru’s sister, and Ruruna who dress up as Sailor Guardians who fans refer to as Sailor Channel and Sailor Guccicci. I received my copies of volumes 3 and 4 of the Complete Editions of the Sailor Moon manga earlier this week and was surprised to see some of the short stories at the end of volume 4. It was not originally clear how the chapters would be distributed amongst this new 10 volume set, as there are less books each containing more pages than previous versions. 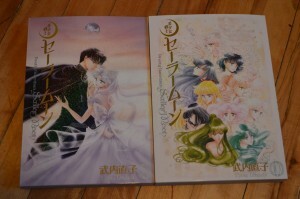 The first two volumes covered the Dark Kingdom arc ending just as Chibiusa pops up. 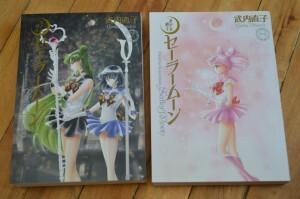 These two books cover the story of Chibiusa, Crystal Tokyo and the Black Moon from Act 15, Sailor Mars, to Act 26, Never Ending. 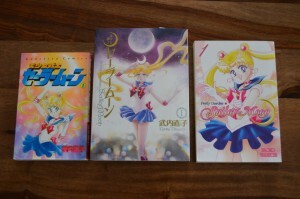 Instead of jumping in with the Infinity arc volume 4 instead completes with a couple of the Sailor Moon short stories. 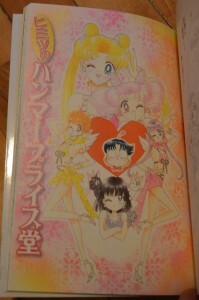 We have the first Chibiusa’s Picture Diary as well as Casa Blanca Memory included in this book. 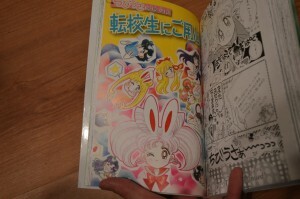 As with the first two volumes this includes the colour pages, some of which have only previously been seen in the pages of Nakayoshi where Sailor Moon was originally published. 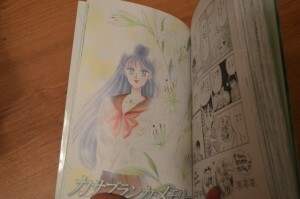 The first story, “Chibiusa’s Picture Diary – Beware of the Transfer Student” recalls an encounter Chibiusa and her classmates had with a young vampire girl named Lilica. 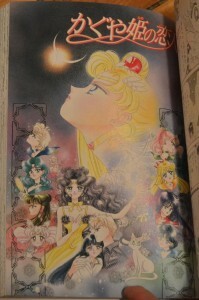 This was originally published at the end of the 5th volume of the manga after the chapter titled “Endymion”. Since this is the 2nd last chapter in volume 3 of this Complete Edition it seems like this would have been an obvious place to keep this story, but it seems to fit fine where it is. The other story included is Casa Blanca Memory, where we learn some of Rei’s back story. It was originally published along with Princess Kaguya’s lover in volume 11 of the original manga release and later with the second set of short stories in the reprint. 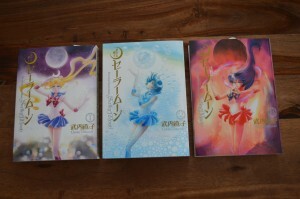 The 3rd and 4th books of the Kanzenban or “Complete Edition” of the Sailor Moon manga started to hit store shelves in Japan yesterday, December 28th. You can order these books from Amazon Japan (vol. 3, vol. 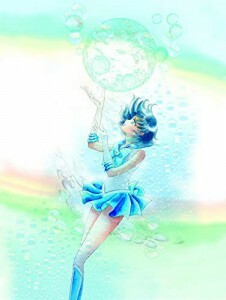 4) or CD Japan (vol. 3, vol. 4). 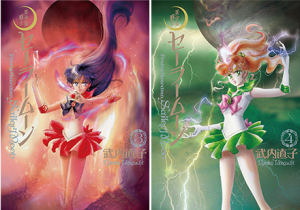 The covers for these issues feature Sailor Mars (volume 3) and Sailor Jupiter (volume 4). 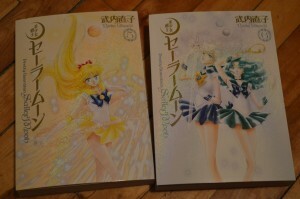 As with other issues these are slightly larger books than the other editions. 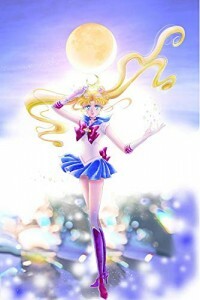 The high quality paper offers bright white glossy pages as well as the inclusion of all of the colour pages, including those previously only seen in the pages of Nakayoshi magazine in which Sailor Moon was first published. These volumes collect more pages than previous collections so there is more story per book. There are currently no plans to release these books in English so if you are interested in these you’d better brush up on your Japanese! 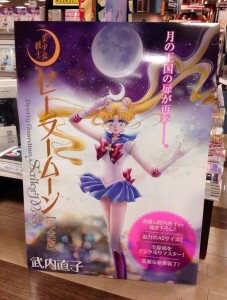 The new release of the Sailor moon manga is finally out in Japan and with that we can get a better look at a lot of the differences with this edition. This Kanzenban or “Complete Edition” is larger than any previous release and is hard cover. The actual art inside is updated like the version released in Japan 10 years and ago, which had the same art as the version which was recently released in North America by Kodansha.